Evelyn H. Lauder was Senior Corporate Vice President and Head of Fragrance Development Worldwide for The Estée Lauder Companies. She was an astute businesswoman, a talented photographer, an ardent philanthropist and a devoted wife, mother and grandmother. Mrs. Lauder was a leader in New York City’s cultural and philanthropic life and is perhaps best known for her formidable role in the battle to defeat breast cancer. In 1989, Mrs. Lauder led the fundraising effort for the first Evelyn H. Lauder Breast Center at Memorial Sloan-Kettering’s Cancer Center in New York City. In September 2009, the newly constructed and very expanded second Evelyn H. Lauder Breast Center opened and provides the most up-to-date breast cancer prevention, diagnosis, and outpatient services and serves as a worldwide model for offering coordinated services under one roof for one disease. In October 1992, she co-created the Pink Ribbon with SELF magazine and began The Estée Lauder Companies’ Breast Cancer Awareness (BCA) Campaign. To date, The Estée Lauder Companies’ BCA Campaign has distributed over 110 million Pink Ribbons worldwide and raised millions for research. In 2000, The Breast Cancer Awareness Campaign launched its Global Landmarks Illumination Initiative and currently illuminates more than 200 landmarks in pink lights every October. 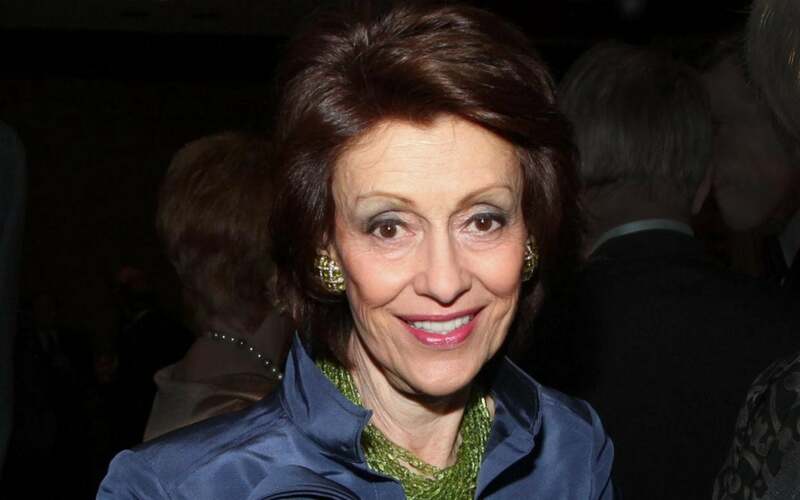 Mrs. Lauder was Chairman of The Breast Cancer Research Foundation (BCRF), which she founded in 1993. The BCRF has become the largest national organization dedicated to funding research relating to the causes, treatment and possible prevention of breast cancer. As of 2010, BCRF had raised over $287 million and supported 173 researchers worldwide, including Cold Spring Harbor Laboratory’s Dr. Michael Wigler. Mrs. Lauder’s achievements have garnered global recognition. In 2002, she received France’s Chevalier de la Légion d’Honneur. In June 2007, she received the American Society of Clinical Oncology (ASCO) Partners in Progress Award. In 1999 and 2007, she was featured in Crain’s New York Business magazine as one of New York’s 100 Most Influential Women in Business. Mrs. Lauder was a dedicated photographer and published two photography books and one cookbook: The Seasons Observed (1994), An Eye for Beauty (2002) and In Great Taste (2006). Her most recent photo exhibition entitled Beauté et Sérénité: Photographs by Evelyn H. Lauder opened at the Galerie des Galeries at the Galeries Lafayette in Paris in June 2010. All royalties from her books and exhibitions are donated to BCRF. Mrs. Lauder was married to Leonard A. Lauder, Chairman Emeritus of The Estée Lauder Companies. They have two sons and four grandchildren. Mrs. Lauder passed away in 2011 after a long battle with ovarian cancer.